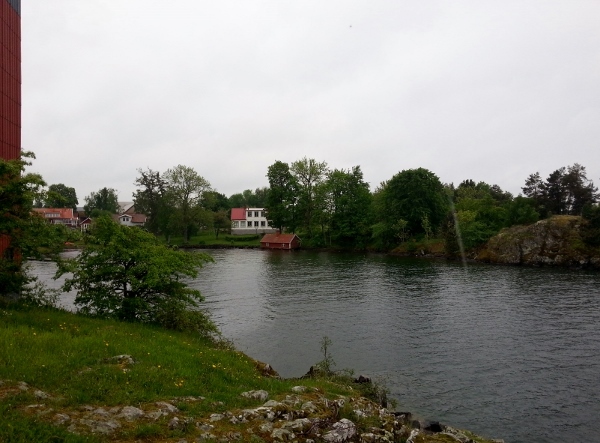 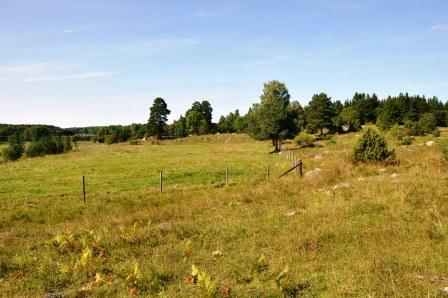 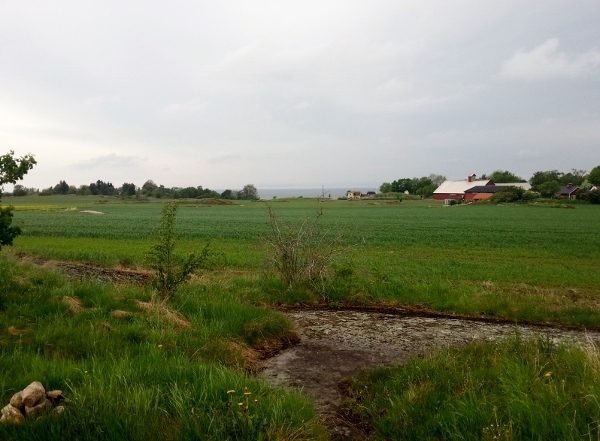 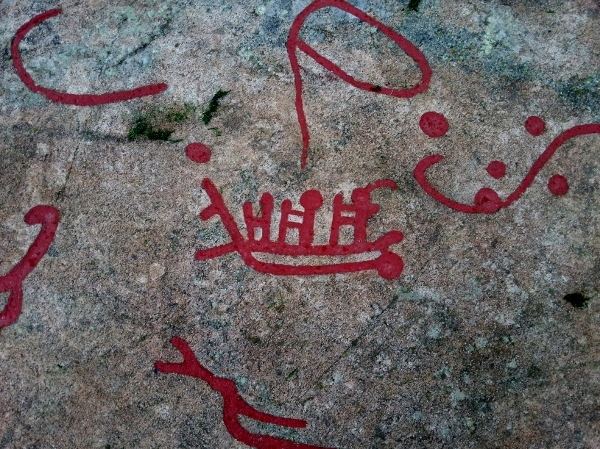 Next stop on my Rock art lollapalooza in the UNESCO world Herritage site Tanum is Fossum. 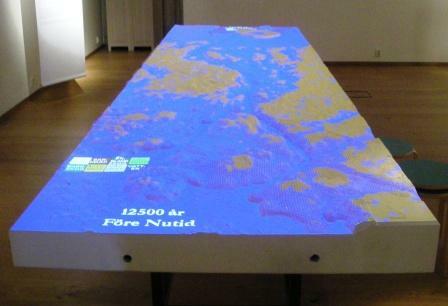 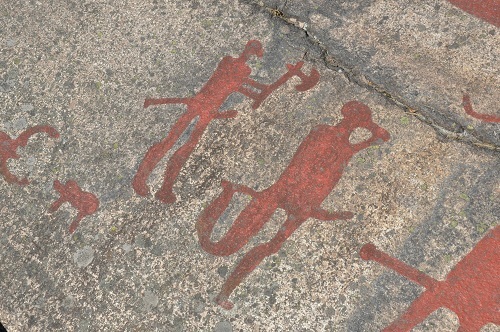 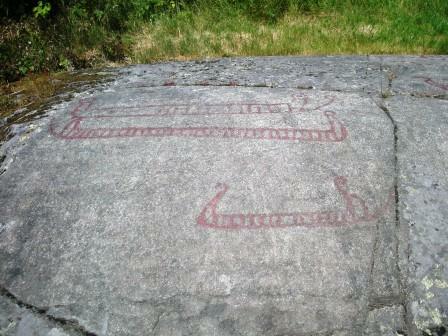 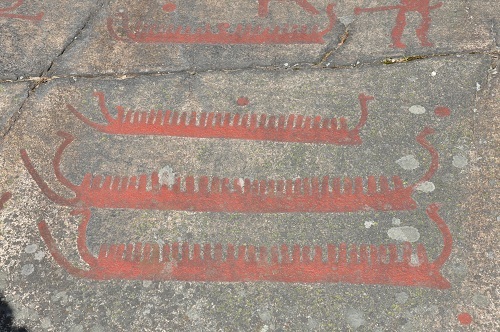 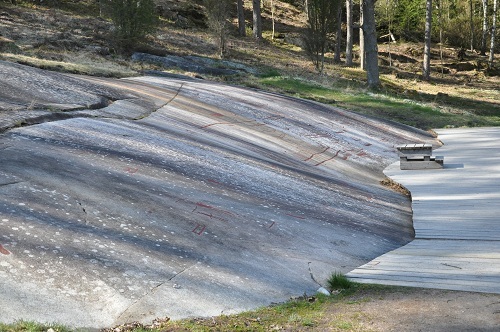 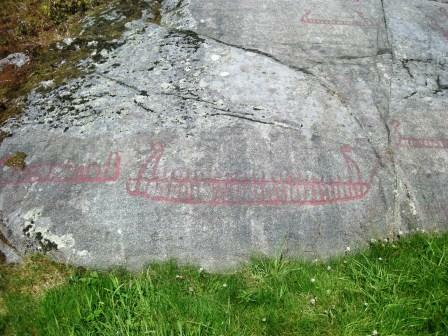 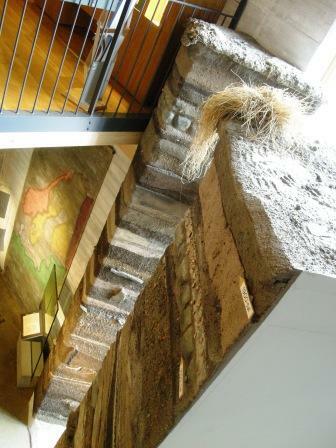 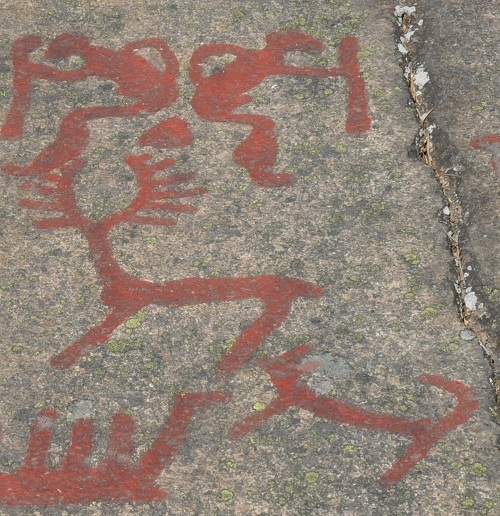 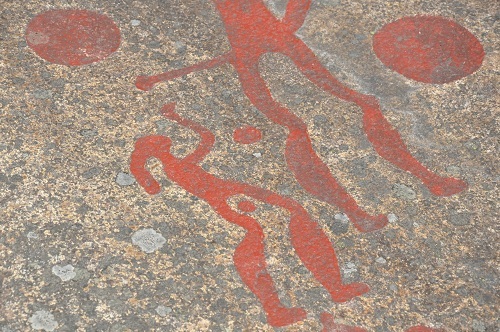 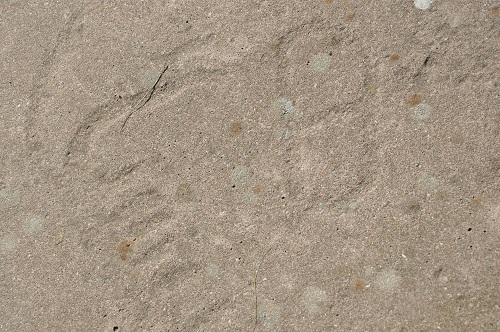 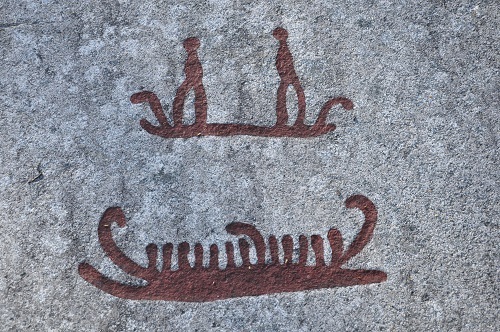 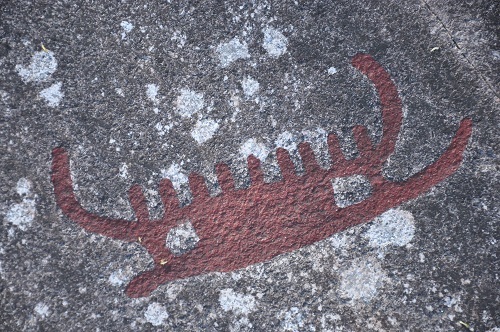 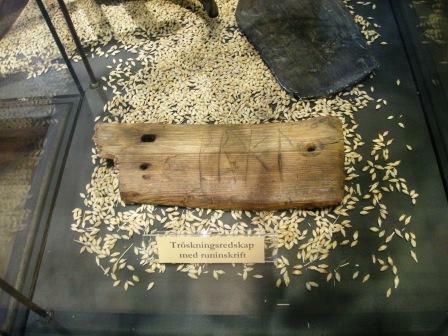 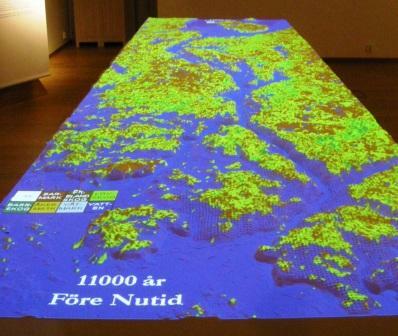 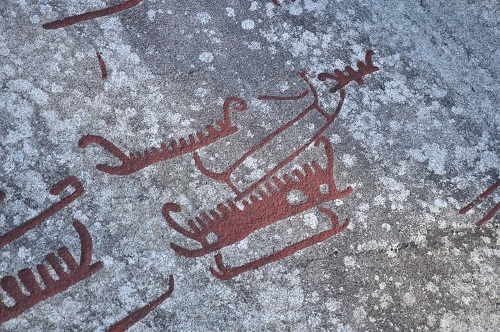 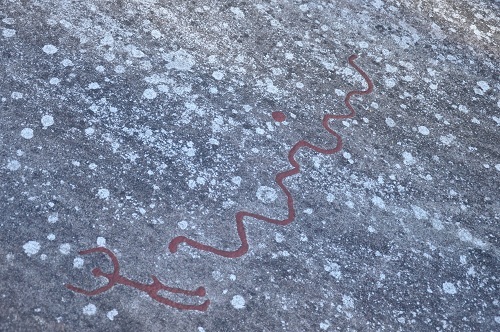 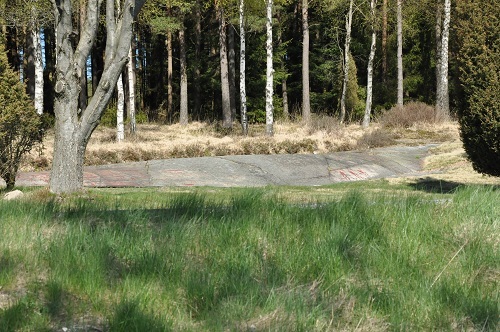 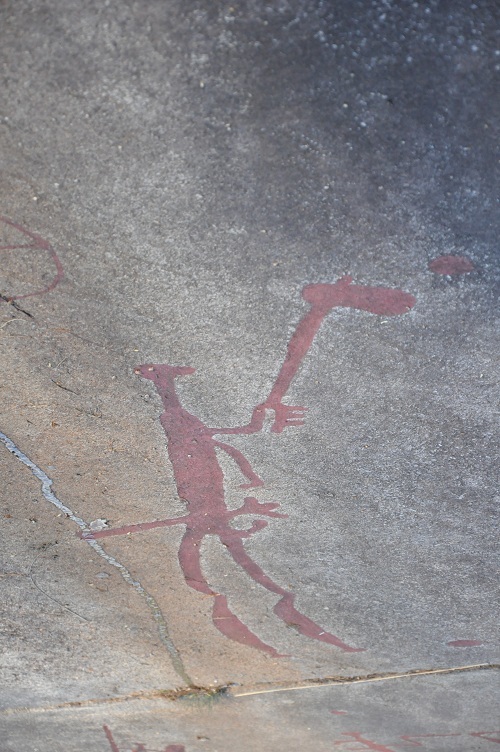 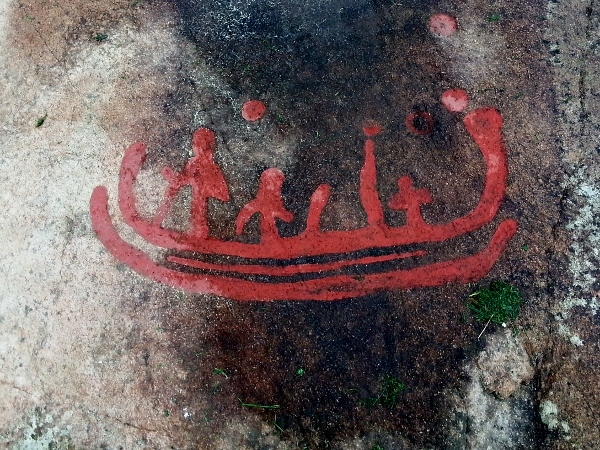 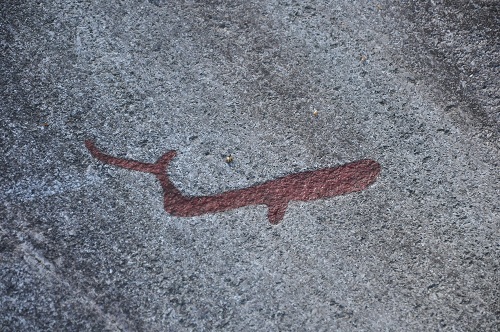 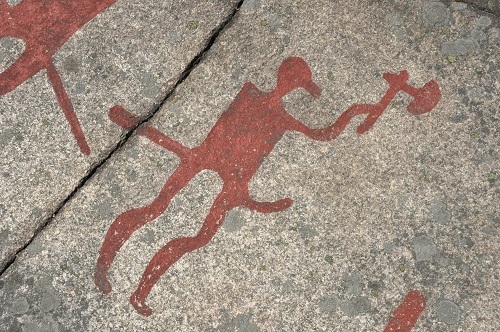 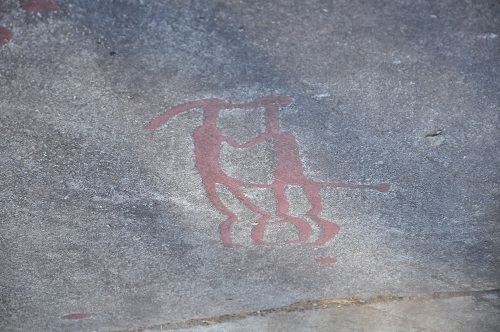 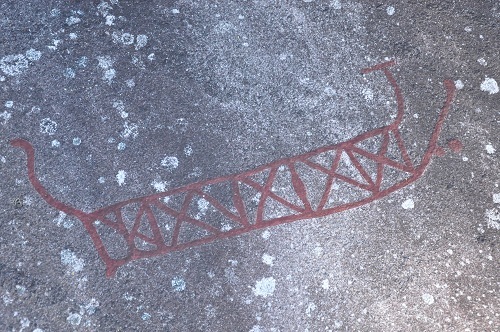 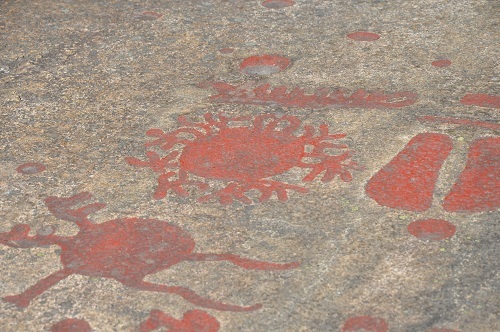 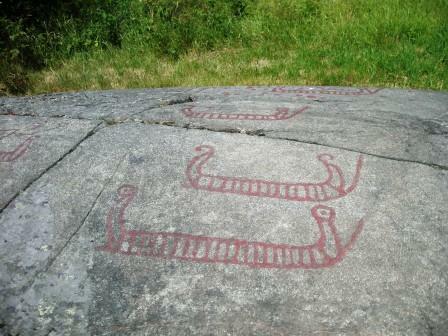 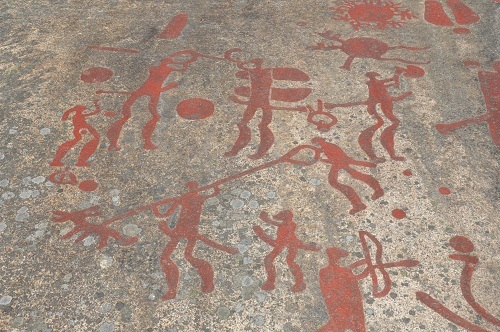 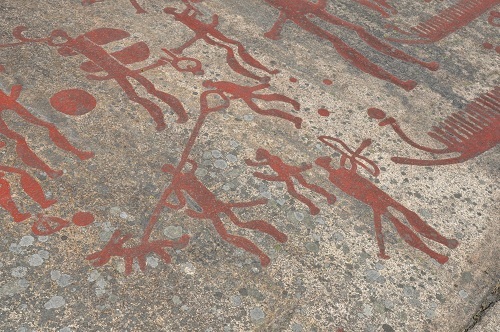 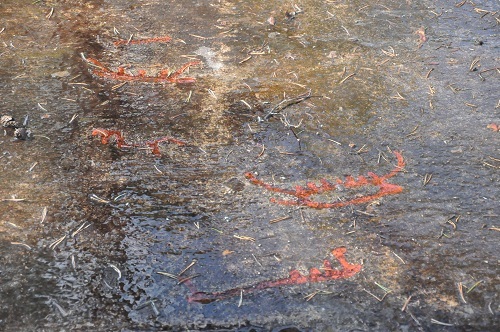 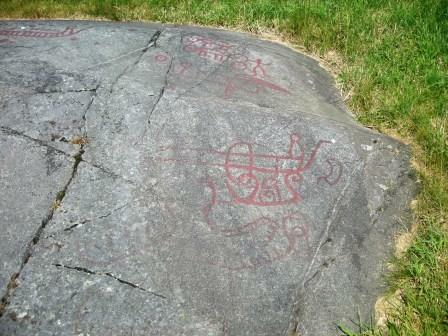 The rock art in Tanum is dated to the Bronze Age, ca 1500-1000 BC. 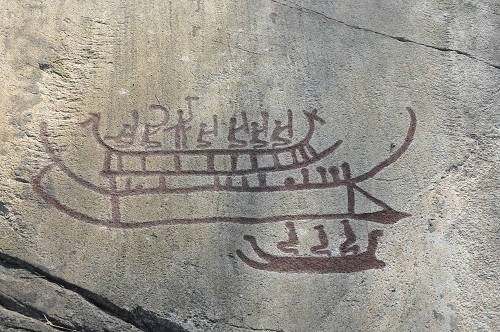 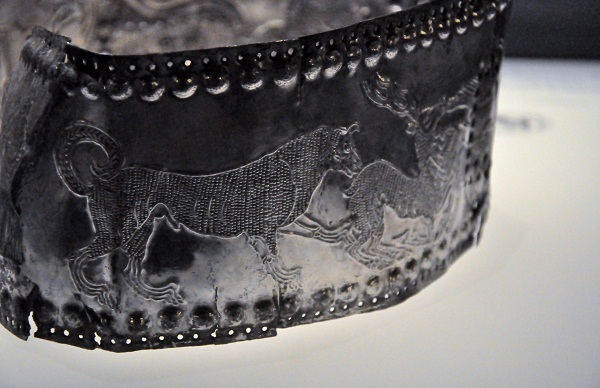 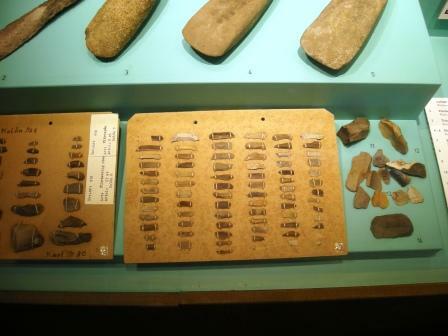 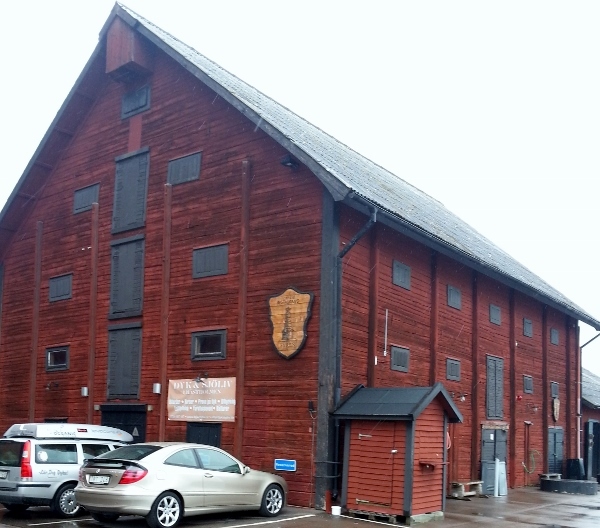 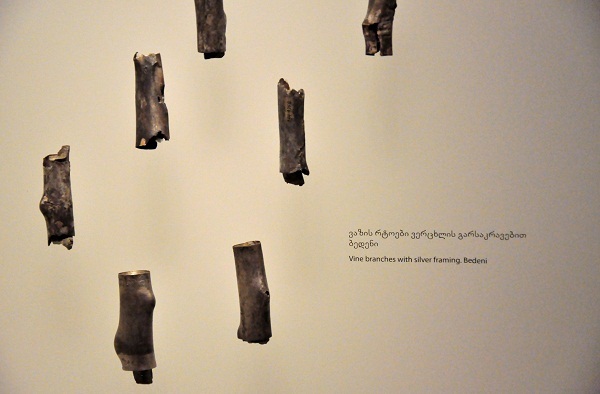 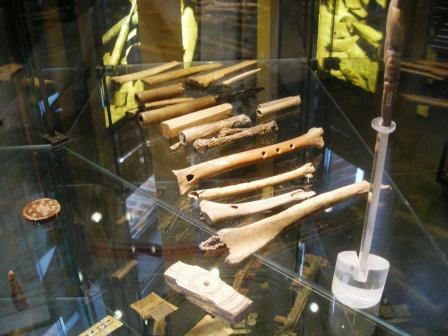 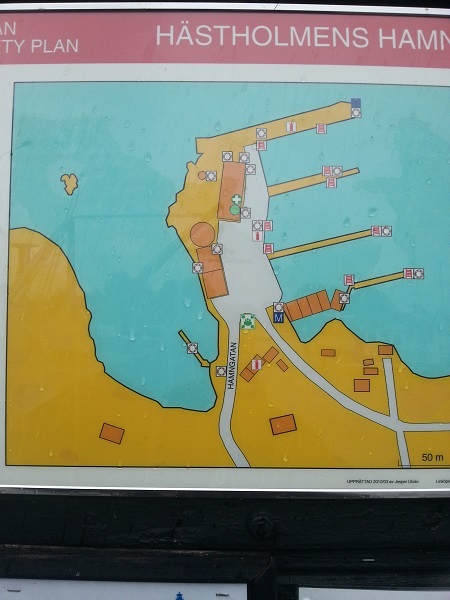 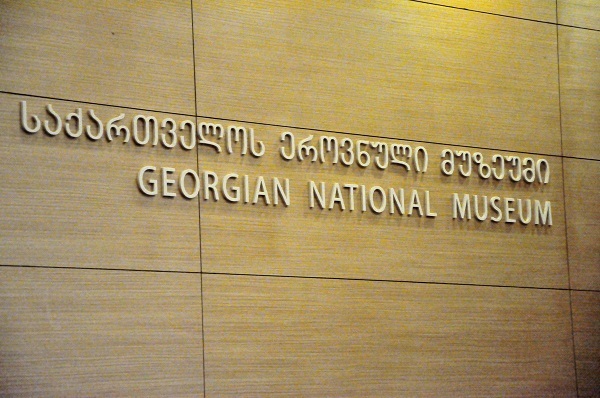 Among the pictures are hunting scenes, people holding axes, people playing horns and of course lots of ships, animals, foot soles and cup marks etc. 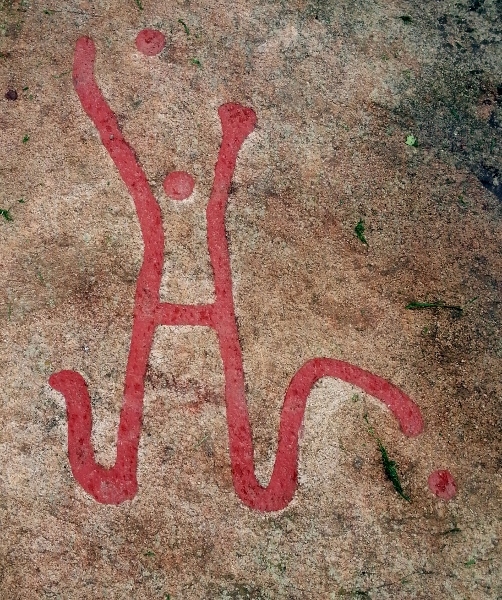 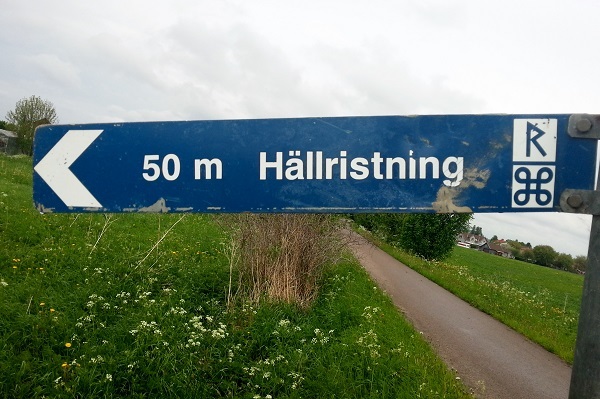 As I returned to Skepplanda this afternoon I saw a road sign just outside of Skepplanda saying; Rock carvings (Skepplanda 20:1). 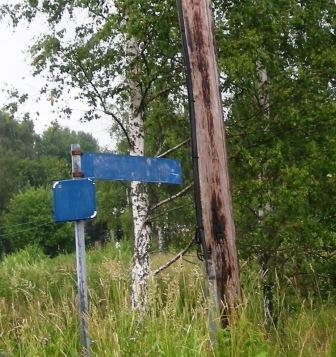 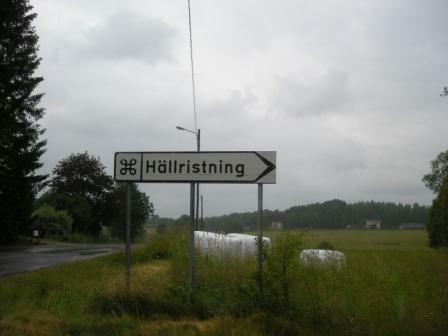 So I stopped the car and took a quick walk – the pathfinder sign is due for replacement though. 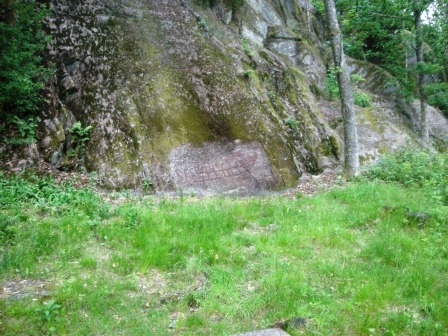 The rock carving was set at big rock wall at Stugåsberget, in my eyes it’s a bit of an odd placement but I’m no expert of the Swedish west coast rock carvings. 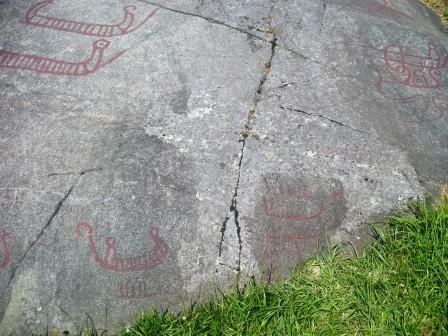 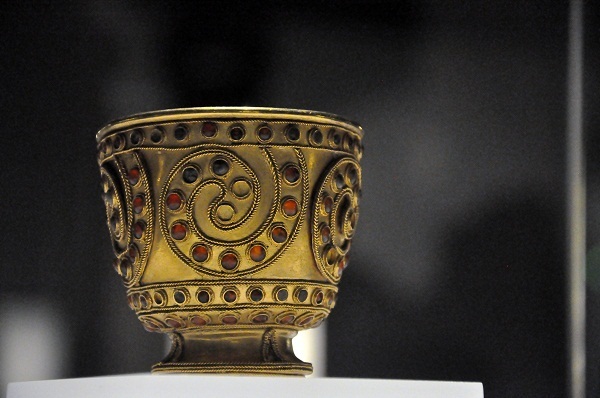 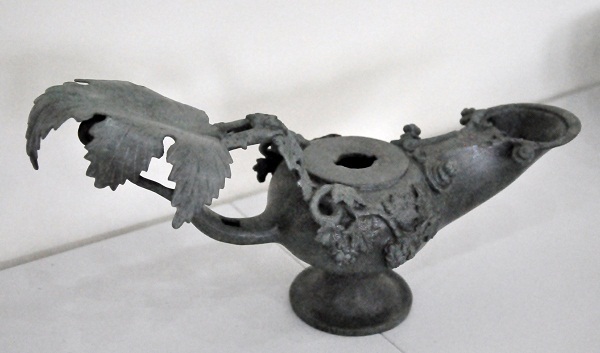 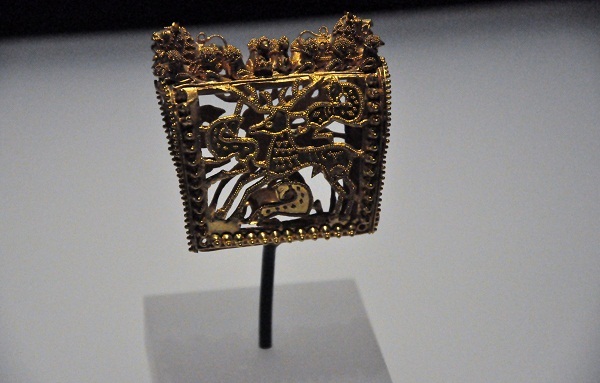 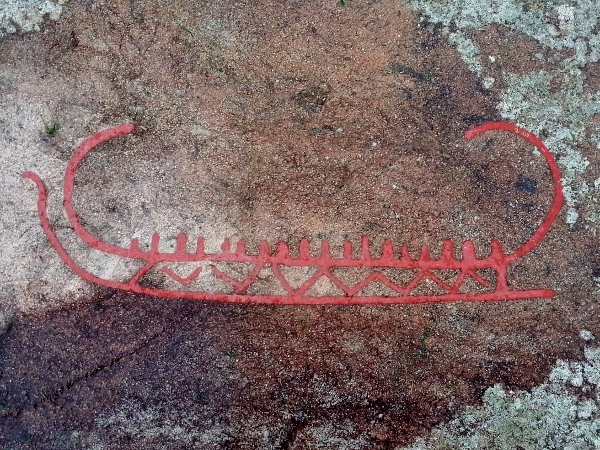 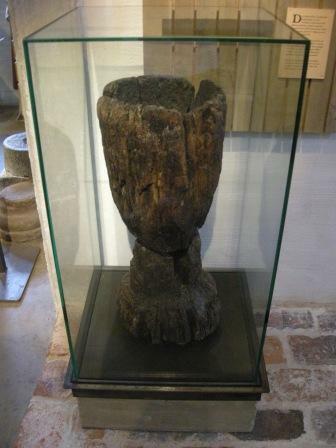 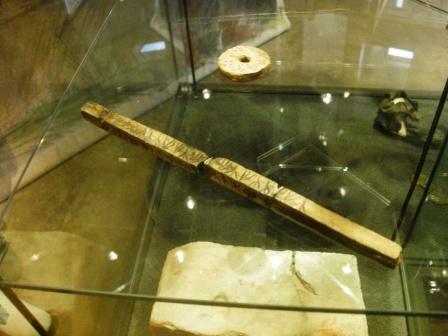 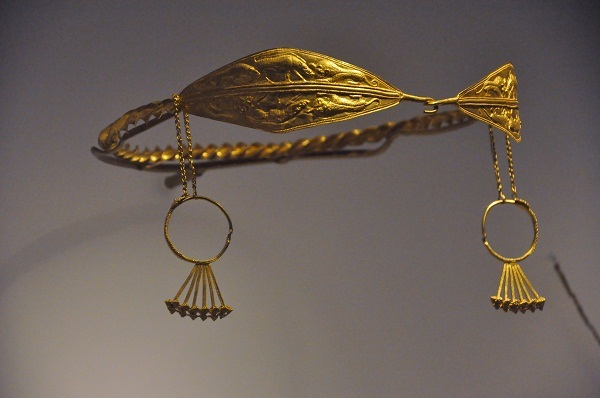 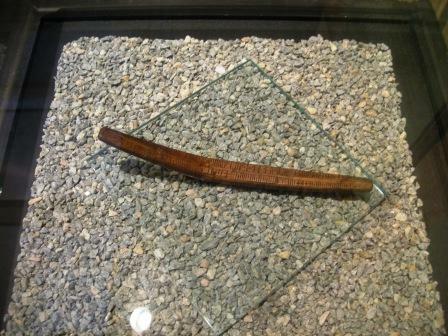 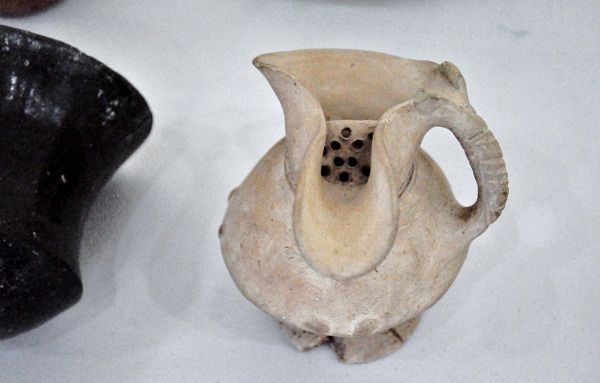 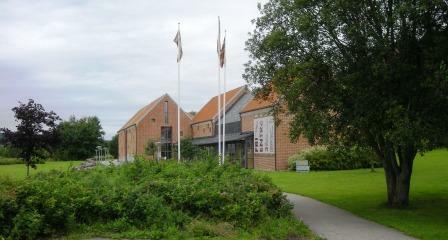 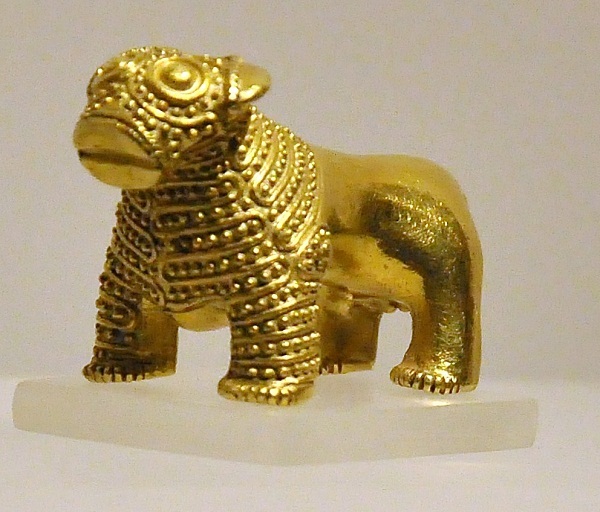 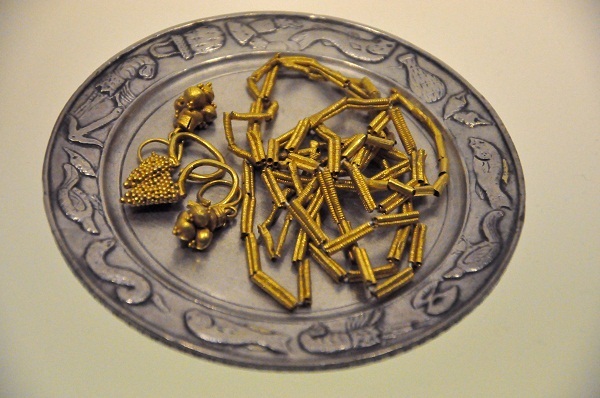 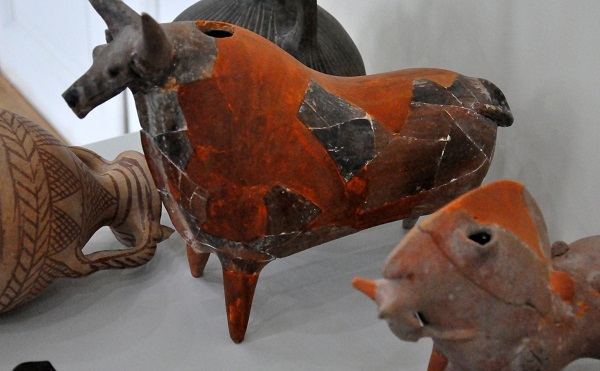 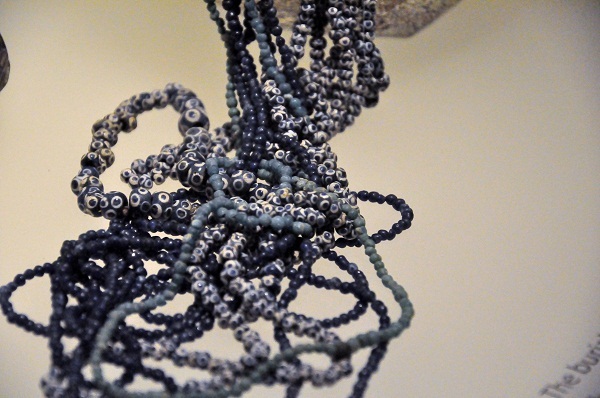 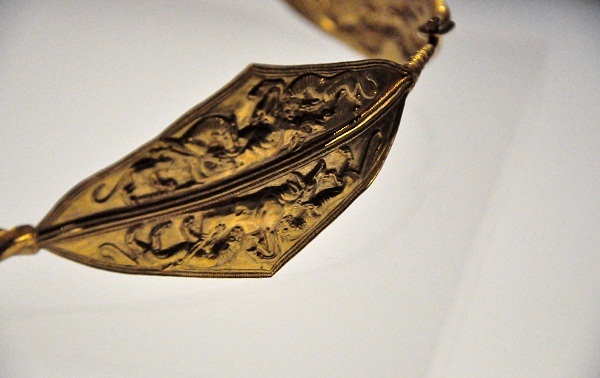 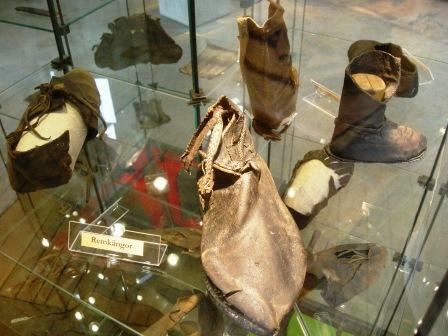 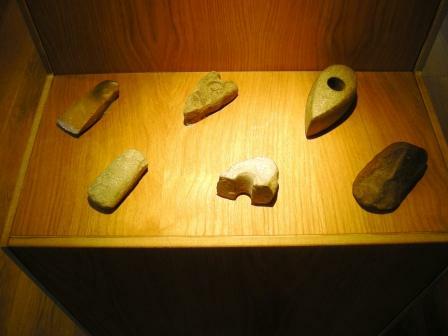 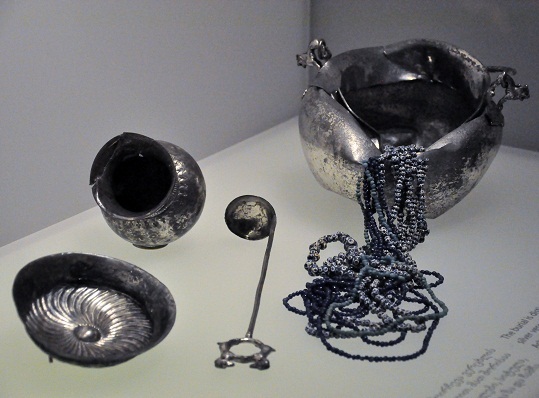 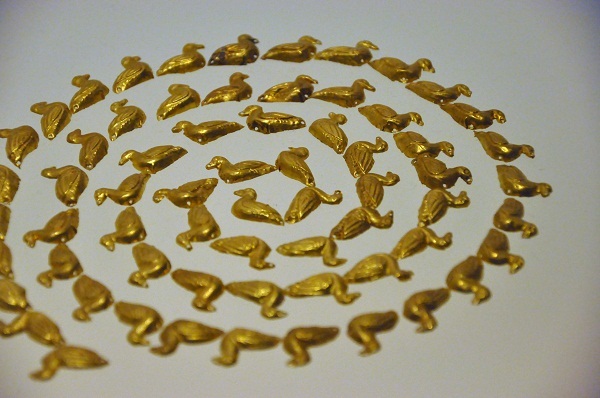 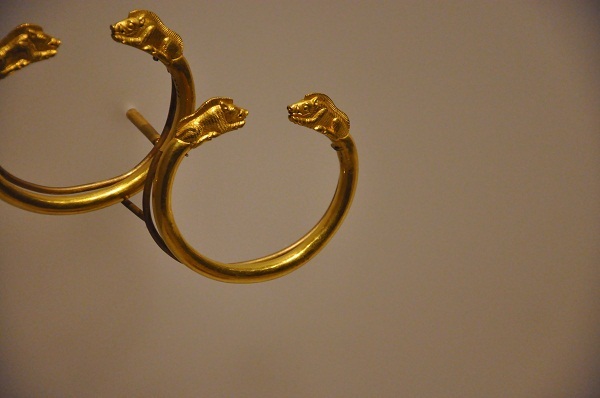 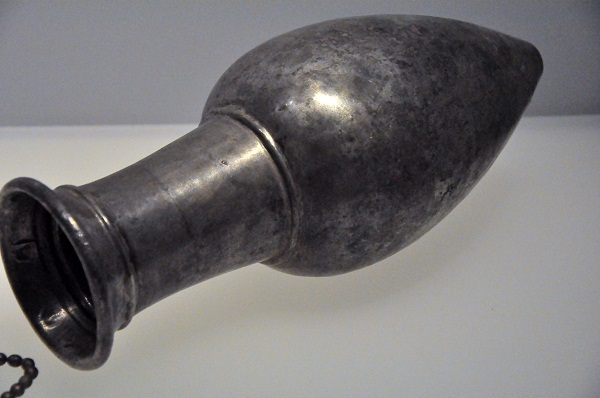 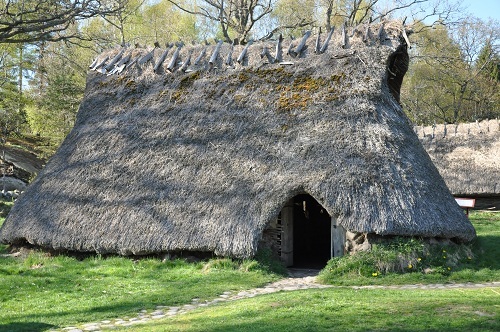 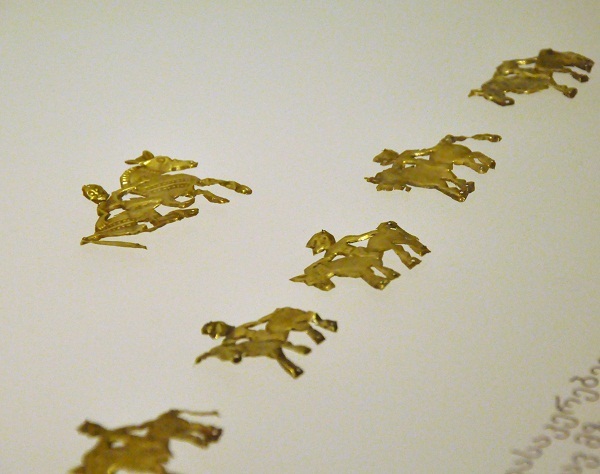 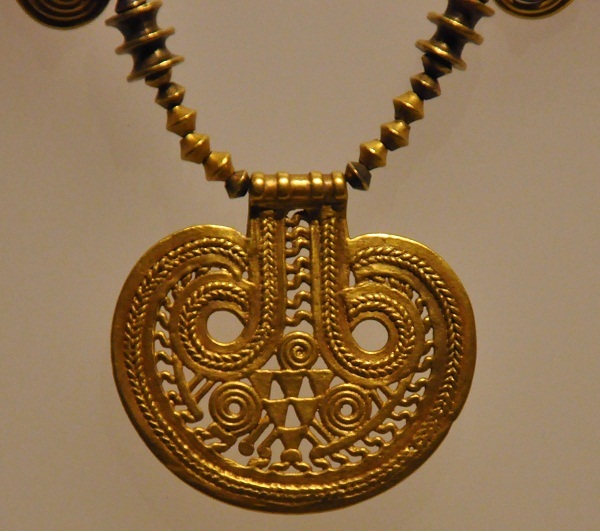 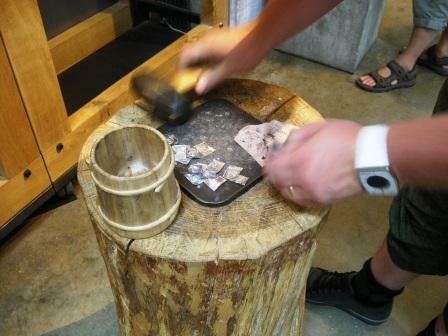 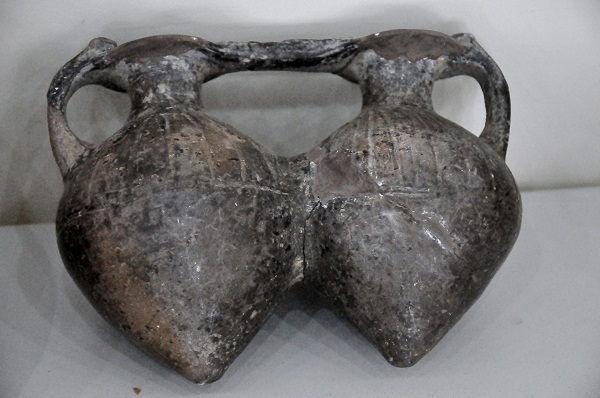 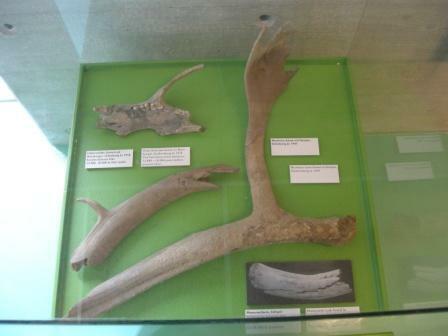 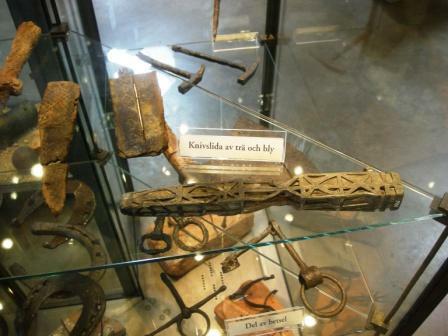 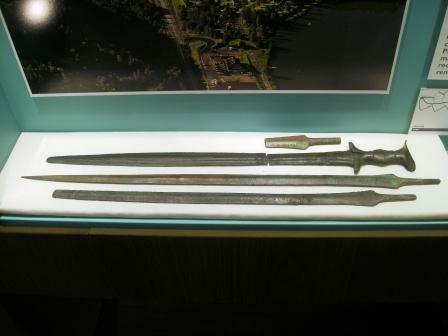 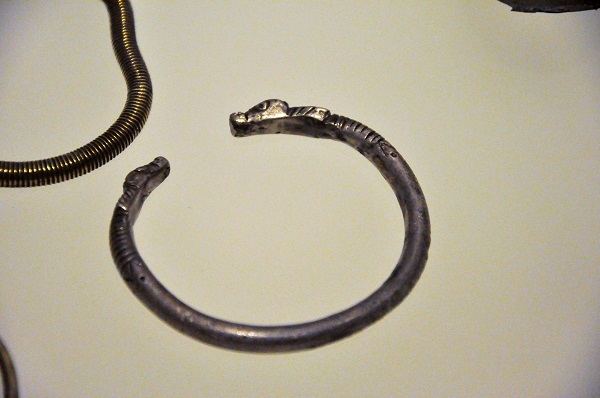 These are normally dated to the Bronze Age, ca 1800-500 BC in Scandinavia. 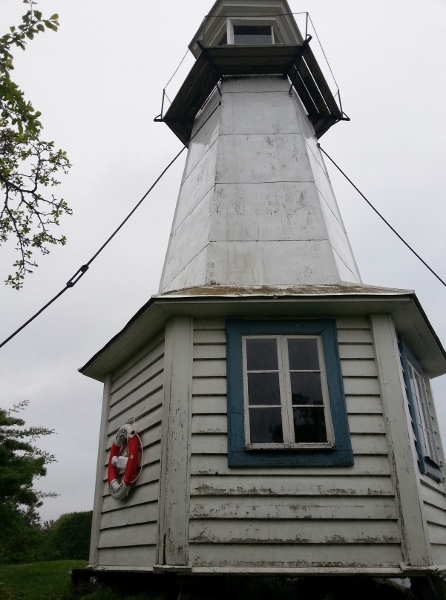 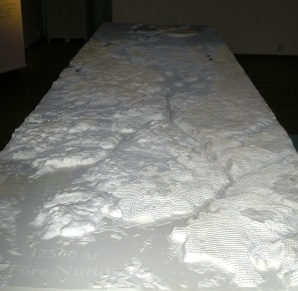 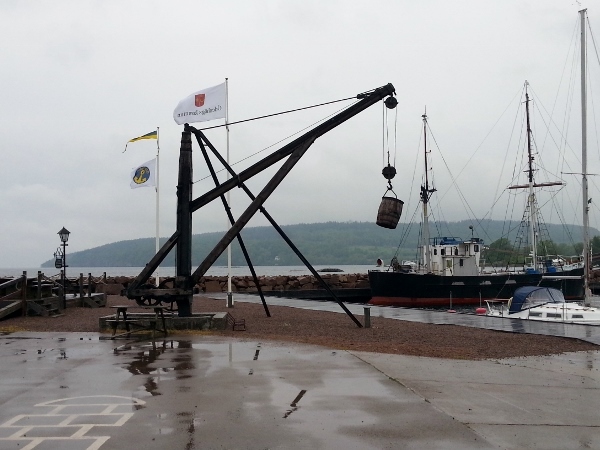 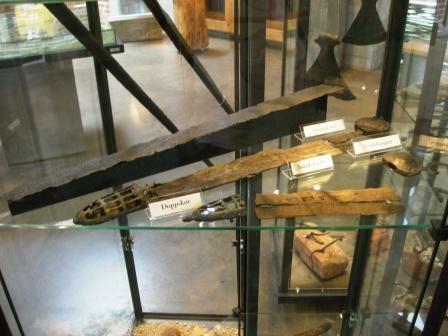 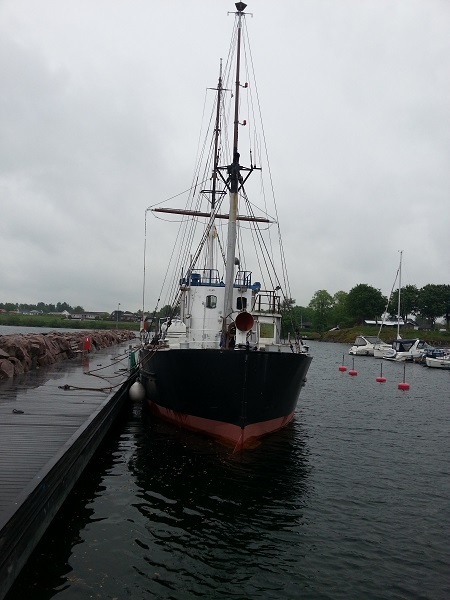 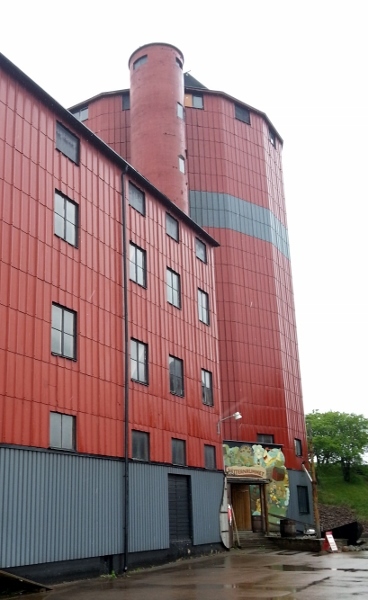 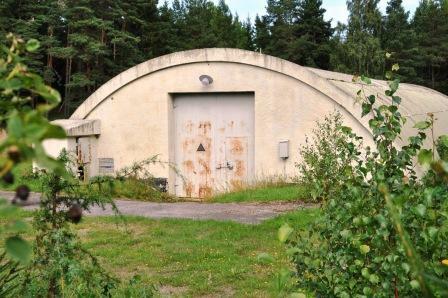 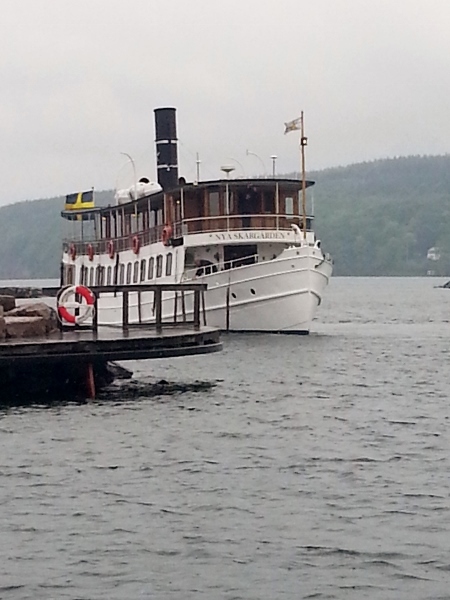 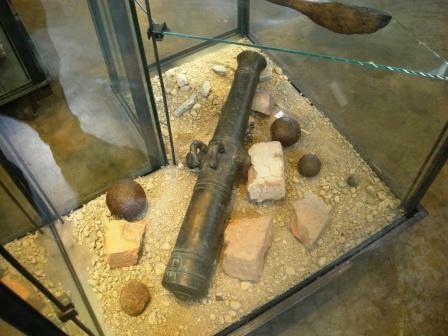 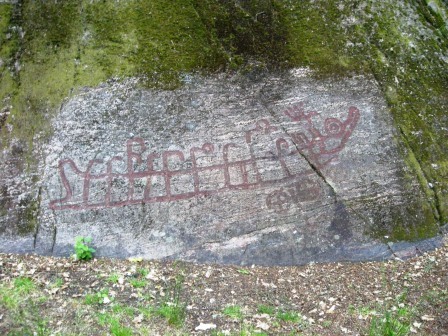 The motive is a rather large ship ca 3 x 0,5 m and a wagon/carriage just below to the left. 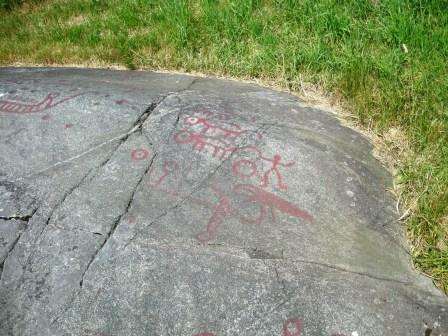 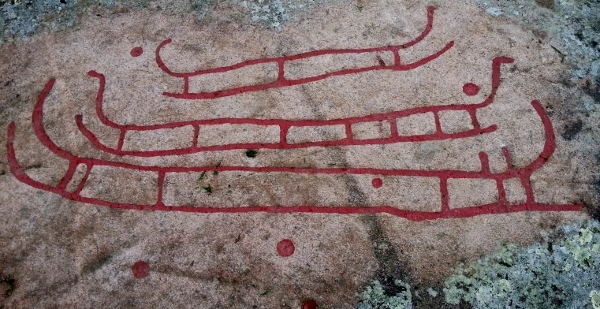 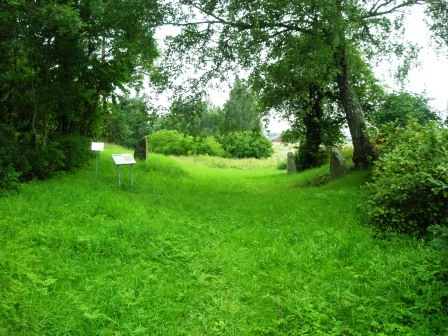 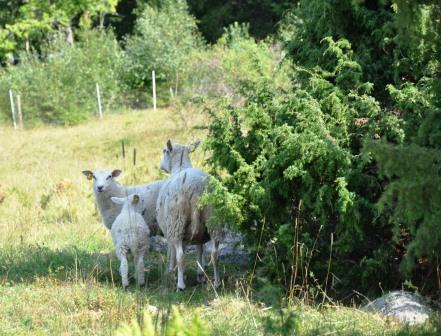 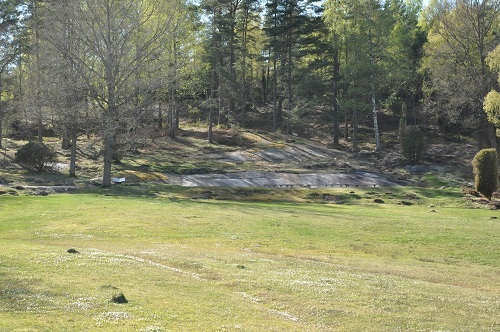 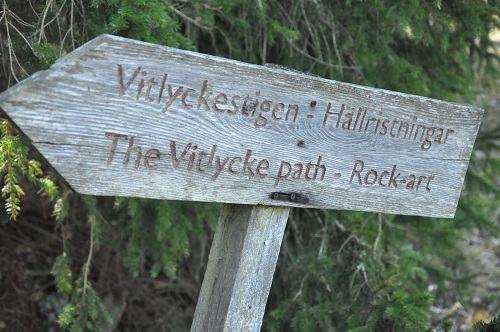 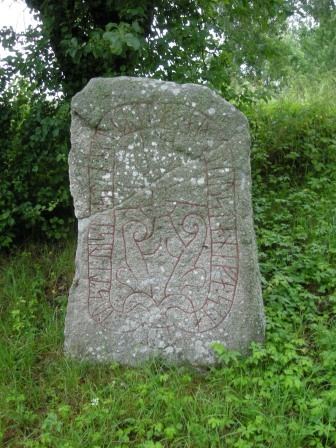 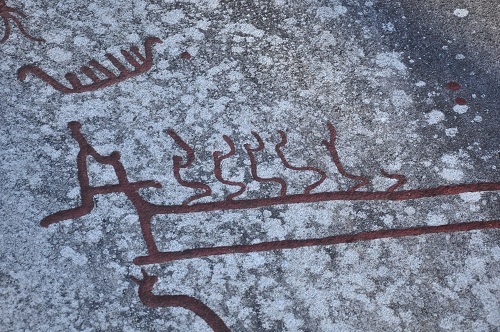 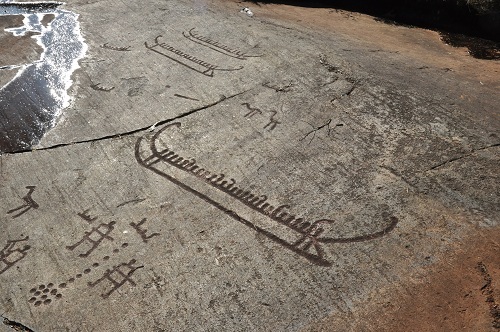 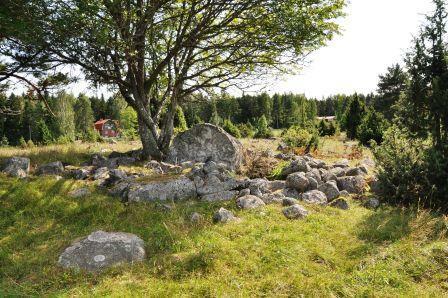 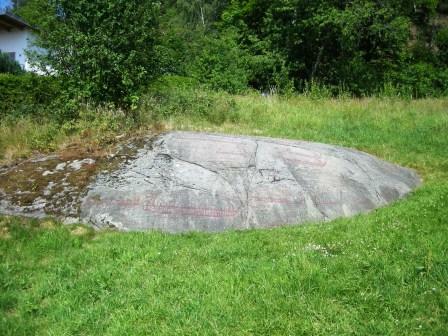 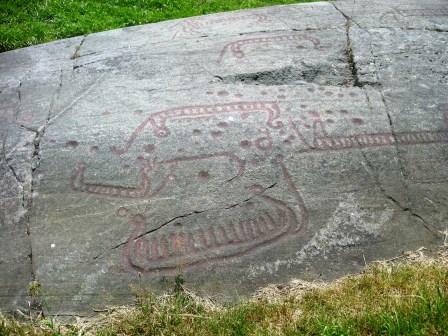 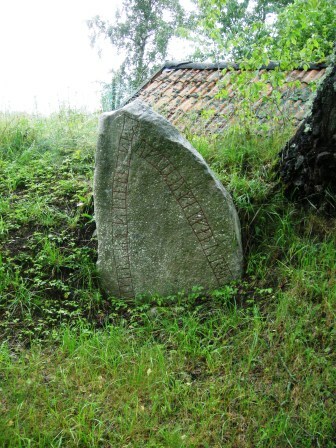 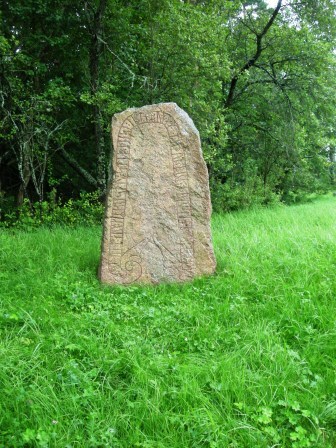 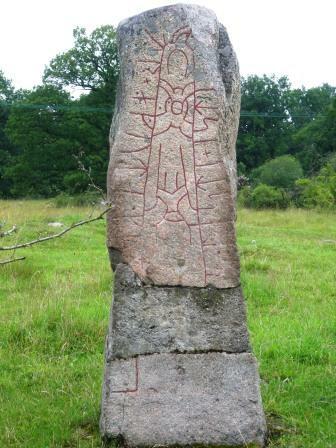 In Alvhem (= the home of the elves) ca 40 km northeast of Gothenburg on Jätteberget (the mountain of giants) is a small rock with a number of beautiful rock carvings, Skepplanda 56:1. 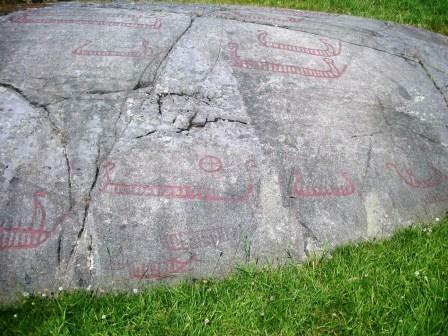 The rock is ca 10 x 5 m.
Most of the carvings on this rock are of ships but there are also few animals and couple of humans and some cup marks etc. 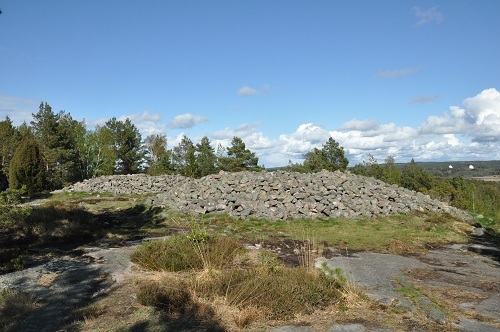 On top of the mountain is a cairn, though heavily damaged (since long ago), and a few hundred meters north of the rock carvings finds of flint has been made.